ESCONDIDO, CA (March 3, 2014) – Intensely hopped and big-flavor brews are known to be quite the passion for Stone Brewing Co . 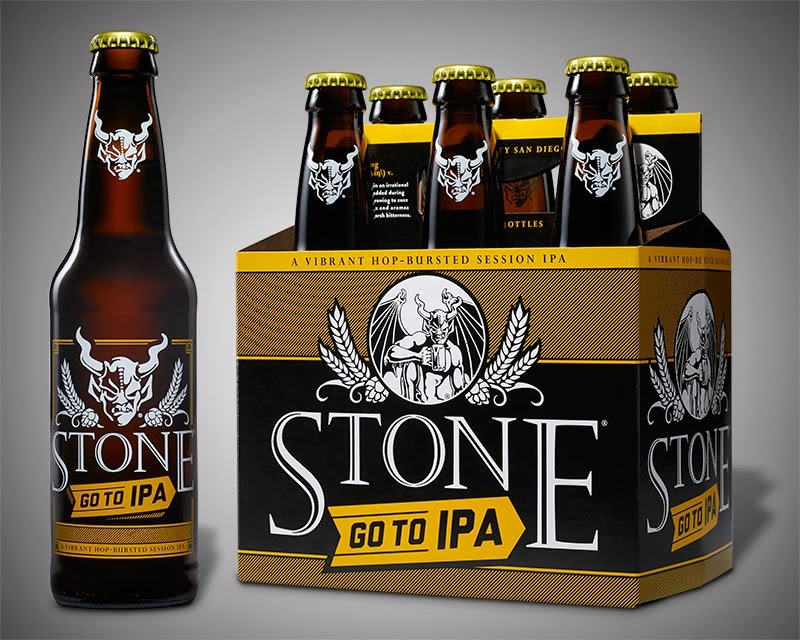 Taking another step in their lupulin obsession, the craft beer company is pleased to introduce Stone Go To IPA. This vibrant hop-bursted session IPA is the tenth addition to Stone’s year-round lineup and, starting today, fans will be able to find the new release in 12-ounce bottle six-packs and on draft at retailers in all of the states where Stone beer is distributed. Stone Go To IPA is 4.5 percent alcohol by volume (ABV) and, therefore, considered a “session” beer. 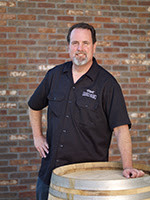 Session beers are defined as ales or lagers below five percent ABV, which allows for greater drinkability within a reasonable stretch of time. Stone Go To IPA is a very refreshing beer, loaded with intense peach, citrus and melon aromas and all the complex hop flavor that Stone IPAs are known for…meaning, it’s a hop bomb. To achieve these glorious hop qualities and still maintain a low ABV, a technique called “hop bursting” was implemented. This contemporary approach involves infusion of a massive amount of hops during the final phase of the brewing process to coax out the robust flavors and aromas of the hops. Stone Go To IPA achieved its fruity, citrus notes by dry-hopping with mostly Mosaic and Citra, plus a complimentary addition of Cascade hops. Stone Go To IPA is brewed with nine different hop varietals and meant to be consumed fresh or within 90 days, before the bountiful hop characteristics fade. The session IPA will be available all year long, so IPA enthusiasts and curious craft beer novices alike will be able to satisfy their appetite for the almighty hop with this everyday go-to ale. Appearance: Pours light gold with a white head. Aroma: The hop aromatics are mind blowing. Intense peach, citrus and melon flavors dominate the aroma in the best possible way. Taste: Hop flavors continue to dominate, but are balanced by just enough malt to keep things reasonably in balance. But make no mistake, this beer is very, very hop-forward! Palate: Dry and bitter, the finish makes you want to drink more! Overall: This beer employed the hop bursting technique, which in essence is a hopping method where all or most of the bitterness in the beer comes from late hop additions in the brewhouse, like at the end of boil and in the whirlpool, instead of the more traditional approach where most of the hop bitterness comes from earlier additions at the start of the kettle boil. The result is a beautifully aromatic beer with substantial, but somewhat mellow, bitterness. The hop bursting also enhances the flavor retention of the hops, and combined with the dry hop, creates a very intense and complex hop flavor. creates a very intense and complex hop flavor.